A 15-year-old is accused of assaulting a teacher at Holy Rood High School in Edinburgh. A schoolboy has been arrested after a teacher was allegedly attacked in a classroom before a small blade was found. A book was allegedly thrown at a teacher's face at a secondary school in Edinburgh. 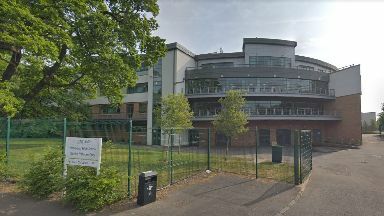 After police were called to Holy Rood High School on Thursday afternoon, a 15-year-old boy was then allegedly found in possession of a knife. A Police Scotland spokeswoman said: "A 15-year-old male was arrested at a school in the Holyrood area around 12.35pm on Thursday, January 31 in connection with a disturbance, during which a male teacher sustained minor injury. "An offensive weapon was discovered during a subsequent search, and enquiries are ongoing into this." An Edinburgh Council spokesman added that the school's staff were working with officers to assist in the investigation. He stated: "The school is cooperating fully with Police Scotland following an incident at the school yesterday."